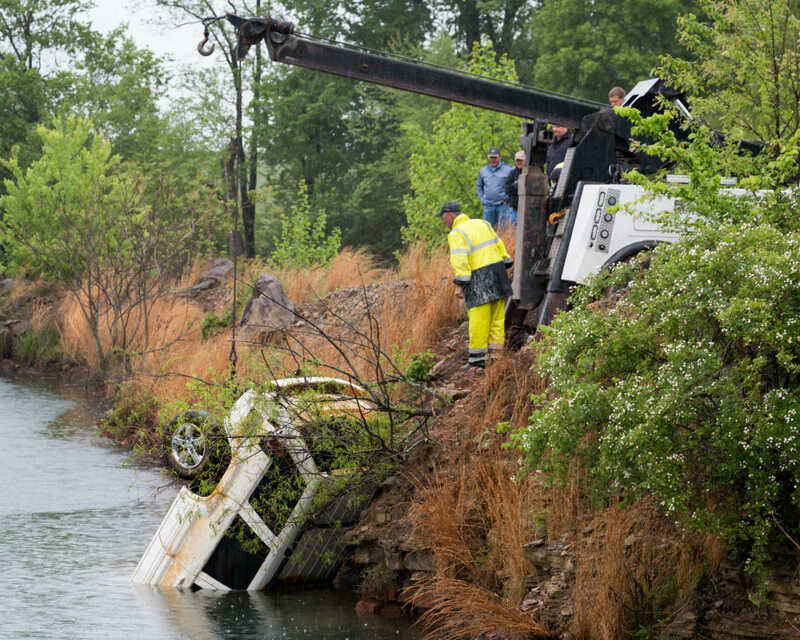 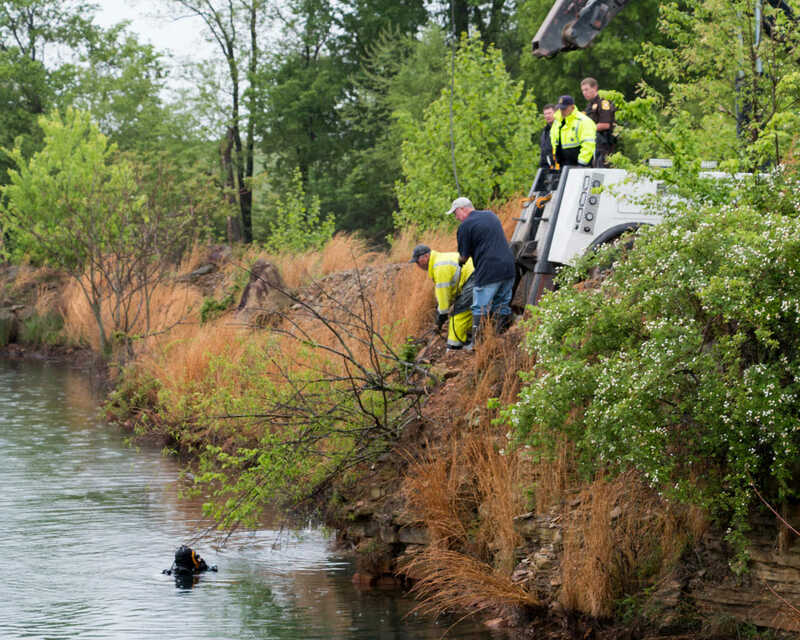 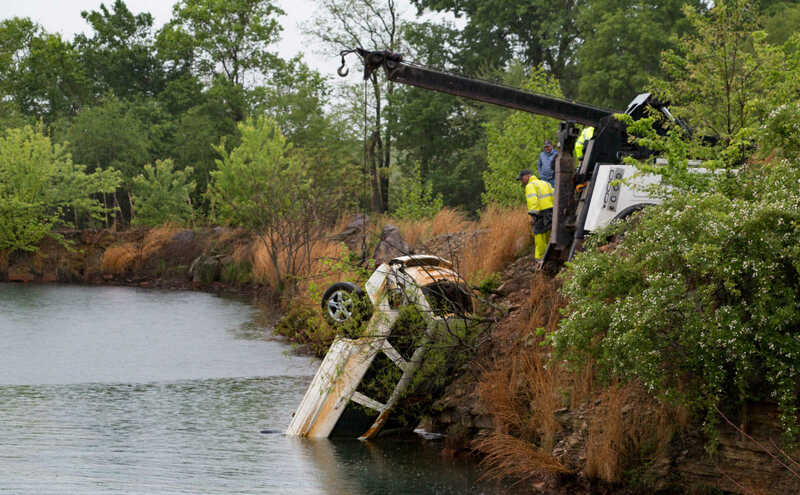 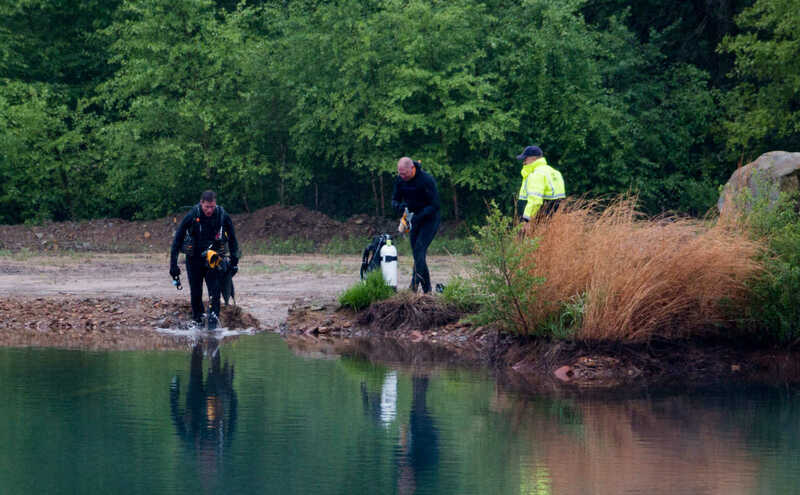 Divers from the Missouri State Highway Patrol enter to quarry to attach cables to the stolen Jeep so that it may be pulled from the water. 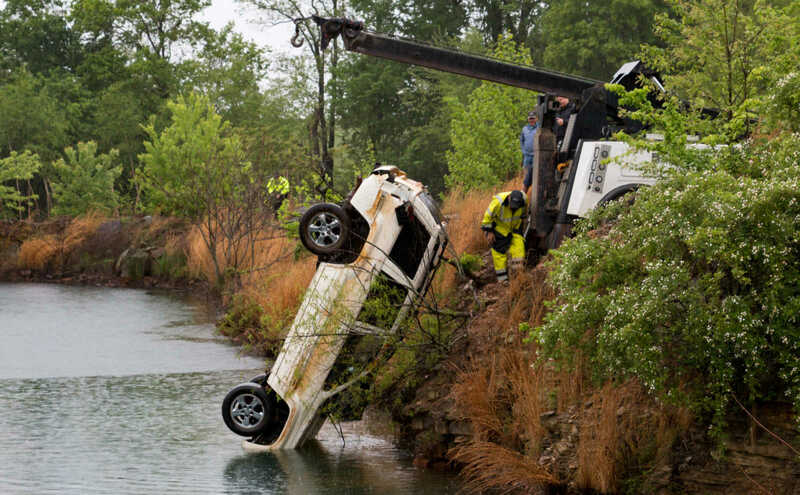 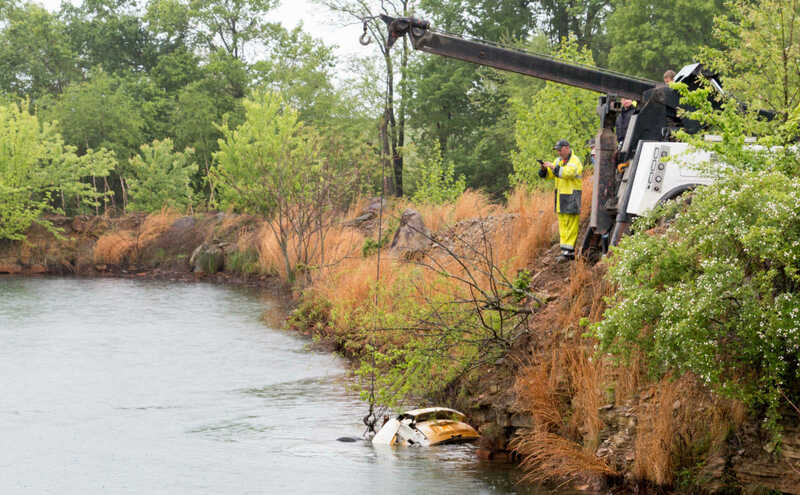 Vernon County Sheriff's Office enlisted the help of Garwood Wrecker Serivce, and a Missouri State Highway Patrol dive team to recover a stolen Jeep from the bottom of an abondoned rock quarry on 2600 Road south of Quarter Master Road. 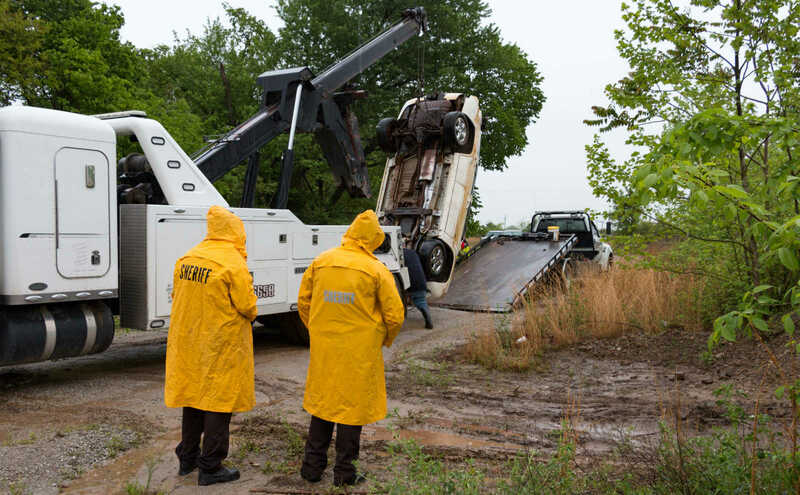 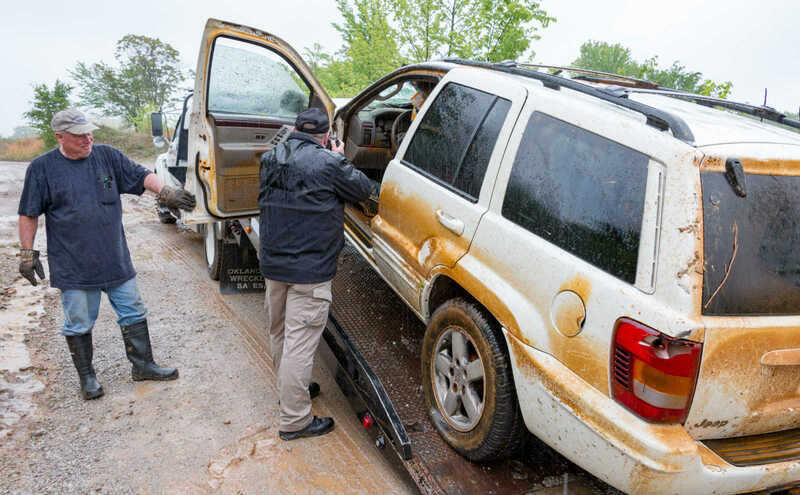 Sheriff Jason Mosher and deputy Norwood watch as Ed and Corey Garwood load a stole Jeep onto a flatbed wrecker. 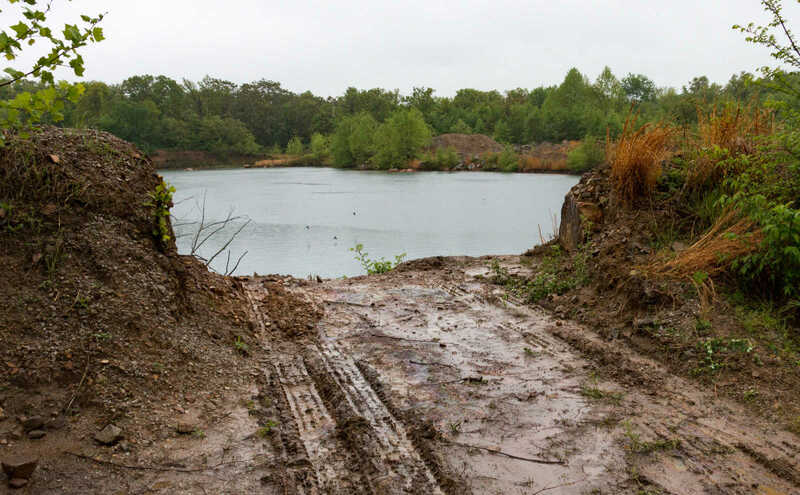 This is where the Jeep entered the quarry.